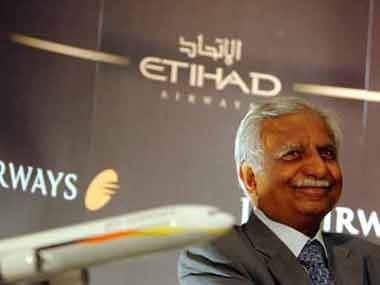 Jet Airways chairman Naresh Goyal and his wife Anita are expected to leave the board of the cash-strapped airline on Monday, said a media report. Chief executive Vinay Dube is expected to stay on board the 25-year-old airline Goyal set up with his wife in 1993, according to ET Now television channel. According to The Economic Times, the Goyals may announce their exit from the carrier formally later on Monday. Goyal, who is reportedly in London, may address all 23,000 employees of the crisis-hit Jet Airways from there, said the report. Earlier this month, Reuters reported that Goyal had agreed to step down as chairman and reduce his 51 percent stake in the airline. The report also said that Jet Airways’ lenders may invoke Goyal’s entire stake in the airline, and start looking for a new buyer in the coming weeks. Saddled with more than $1 billion of debt, Jet Airways is struggling to stay afloat. It has delayed payments to banks, suppliers, pilots and lessors — some of which have forced the airline to ground planes. 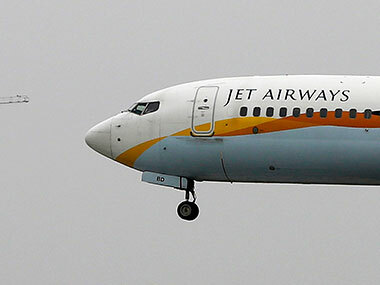 Jet Airways has survived a near-death experience once before; in 2013, Abu Dhabi’s Etihad Airways injected $600 million of capital for a 24 percent stake in the airline, three London Heathrow slots and a majority share in Jet’s frequent flyer programme. The infusion helped Jet Airways pare down debt and fight growing domestic competition. Etihad’s stake is likely to be diluted in the near future, ET Now television channel reported. Jet Airways was not immediately available for comment when contacted by Reuters. 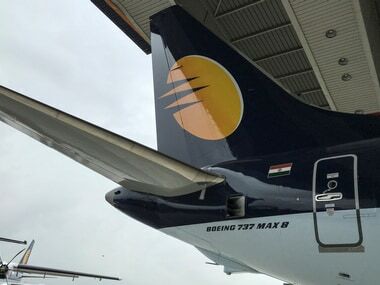 On Friday, Jet Airways had suspended operations on as many as 13 more international routes till end-April even as it grounded seven more planes due to non-payment of rentals, taking the number of such aircraft to 54, said a PTI report. Besides, the airline also reduced frequencies on seven other overseas routes, mostly from Delhi and Mumbai, according to airline sources. "... an additional seven aircraft including two planes of JetLite, have been grounded due to non-payment of amounts outstanding to lessors under their respective lease agreements," the airline said in a filing to the stock exchanges late evening on Friday. On Thursday, a group of state-run banks wanted Goyal to reduce his stake in the carrier to 10 percent, said a Reuters report citing news channel CNBC-TV18. “Banks want Goyal to bring his stake down to 10 percent, below the 17 percent envisaged in the bank-led provisional resolution plan (BLPRP),” sources told CNBC-TV18. Jet Airways grounds services to Kolkata, Pune among other destinations; is ailing airline heading for a crash-landing?